At Moda, we genuinely care about the finer details. With High & Spring, though, our attention to detail went beyond material selections and the apartments themselves to deliver our signature element on this project — a wine cellar and tasting room that rivals the professionals. This unique space allows residents to securely store their wine collections in top-grade refrigeration systems, while the community tasting area gives residents the opportunity to sit and chat a while over a glass of their favourite vintage. Ben Portet, of award-winning Dominique Portet Winery in the Yarra Valley, provided guidance on every aspect of the design, from consulting on the best refrigeration to the selection of natural timbers and the handcrafted furniture. Every tiny detail is designed to enhance the wine tasting experience, including our selection of a neutral colour palette, ensuring residents and their guests can experience the true colour of the wine they’re tasting. 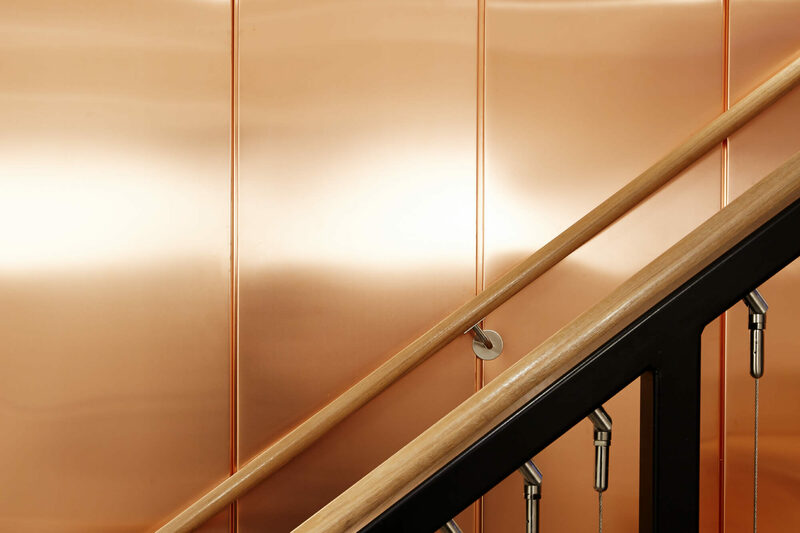 With High & Spring we’ve delivered outstanding architectural detailing, from stunning recycled timber — flowing from exterior features to the interior spaces — and richly textured off-form concrete, to natural copper which improves with age, developing a unique patina over time. We have a true appreciation for fine materials and we always expect the best craftsmanship. 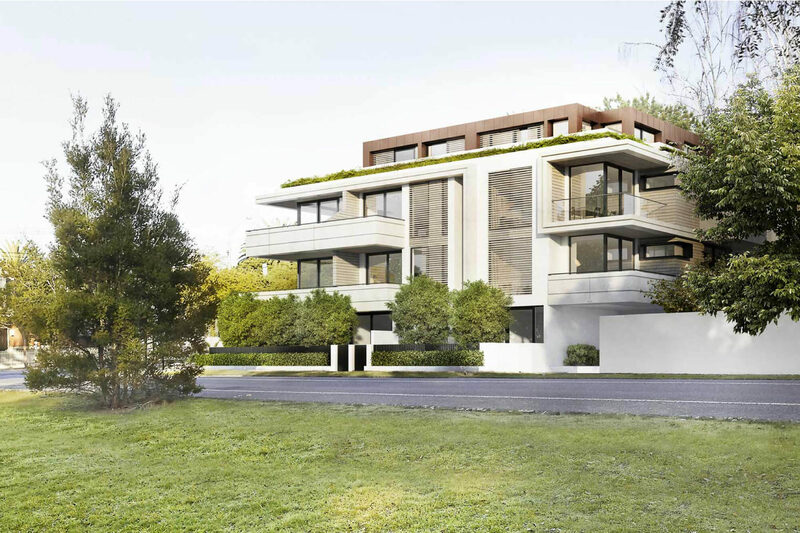 From the front door and lobby, through to the expansive apartments with their floor-to-ceiling windows and views across the gardens, High & Spring feels at home in its environment. 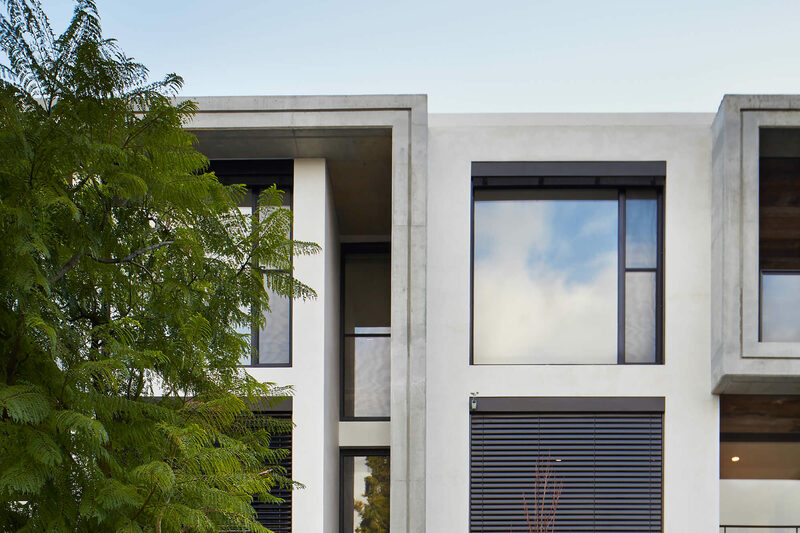 In each apartment and throughout the whole building we’ve chosen materials that echo the natural environment of Malvern Gardens, just across the road, removing that finite threshold between inside and out. High & Spring is about the finer things in life, whether it’s a lasting connection with nature, or the freedom to enjoy your favourite drop with friends and neighbours. It’s the little things that really matter. High & Spring was recognised for its outstanding architecture and interiors, taking out a Gold Melbourne Design Award in 2016.